Rapunzel is very happy because she has the honor of being the fairy godmother for Anna's baby. This event needs great preparations and Rapunzel needs your help. 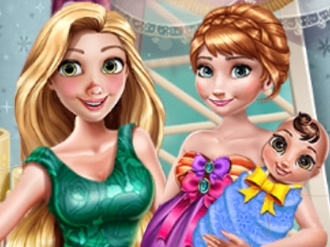 Let's choose some amazing clothes and accessories for fairy Rapunzel and make sure she looks amazing. Also take care of the setting and decorate the room in a fun way. Enjoy!